Acknowledges diversity factors, says "we're different in so many other ways." On Thursday, Linux legend Linus Torvalds sent a lengthy statement to Ars Technica responding to statements he made in Auckland, New Zealand earlier that day about diversity and "niceness" in the open source sector. "What I wanted to say [at the keynote]—and clearly must have done very badly—is that one of the great things about open source is exactly the fact that different people are so different," Torvalds wrote via e-mail. "I think people sometimes look at it as being just 'programmers,' which is not true. It's about all the people who are more oriented toward commercial things, too. It's about all those people who are interested in legal issues—and the social ones, too!" Torvalds spoke to what he thought was a larger concept of "diversity" than what has been mentioned a lot in recent stories on the topic, including economic disparity, language, and culture (even between neighboring European countries). "There's a lot of talk about gender and sexual preferences and race, but we're different in so many other ways, too," he wrote. "'Open source' as a term and as a movement hasn't been about 'you have to be a believer,'" Torvalds added. "It's not a religion. It's not an 'us vs them' thing. We've been able to work with all those 'evil commercial interests' and companies who also do proprietary software. And I think that was one of the things that the Linux community (and others—don't get me wrong, it's not unique to us) did and does well." 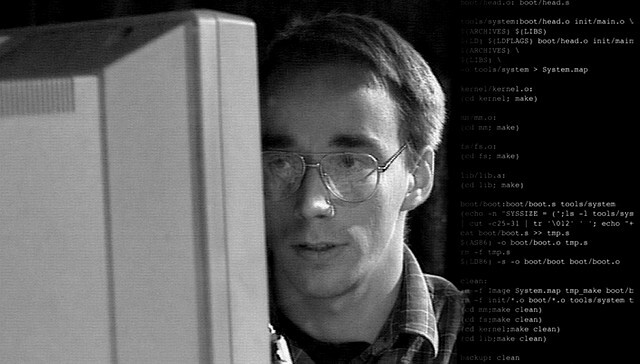 Torvalds also talked about progress since the GPL vs. BSD "flame wars" from the '80s and early '90s, saying that the open source movement brought more technology and less "ideology" to the sector. "Which is not to say that a lot of people aren't around because they believe it's the 'ethical' thing to do (I do myself too)," Torvalds added, "but you don't have to believe that, and you can just do it because it's the most fun, or the most efficient way to do technology development." He then sent a second e-mail to Ars about the topic of "niceness" that came up during the keynote. He said that his return to his Auckland hotel was delayed by "like three hours" because of hallway conversations about this very topic. "I don't know where you happen to be based, but this 'you have to be nice' seems to be very popular in the US," Torvalds continued, calling the concept an "ideology." "The same way we have developers and marketing people and legal people who speak different languages, I think we can have some developers who are used to—and prefer—a more confrontational style, and still also have people who don't," he wrote. He lambasted the "brainstorming" model of having a criticism-free bubble to bounce ideas off of. "Maybe it works for some people, but I happen to simply not believe in it," he said. "I'd rather be really confrontational, and bad ideas should be [taken] down aggressively. Even good ideas need to be vigorously defended." "Maybe it's just because I like arguing," Torvalds added. "I'm just not a huge believer in politeness and sensitivity being preferable over bluntly letting people know your feelings. But I also understand that other people are driven away by cursing and crass language when it all gets a bit too carried away." To that point, Torvalds said that the open source movement might simply need more "people who are good at mediating," as opposed to asking developers to calm their own tone or attitude. Sam Machkovech / Sam has written about video games on-and-off since his first syndicated column launched in 1996. He can regularly be found playing pinball at Add-A-Ball in Seattle, WA.